This module is to use Joomla articles on your web page. 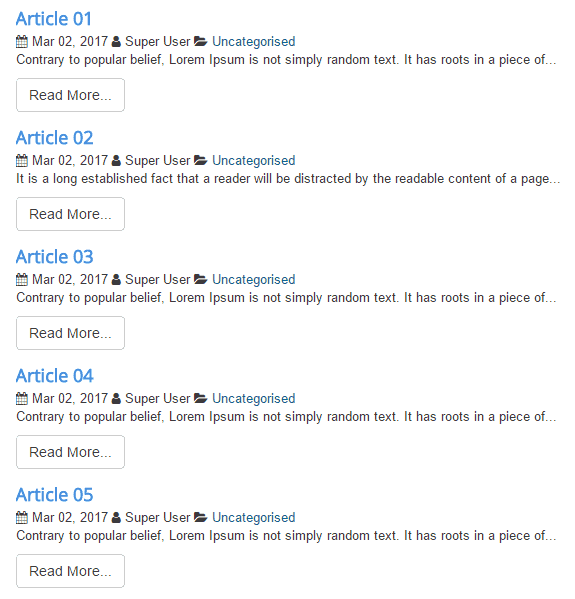 You can use multiple articles on one module. This can highly reduce your hassle and time as well. Can be usable on any websites and web pages as well. Category : Select the article category from the drop-down menu. Count : Define the number of articles you want to show. Show Featured : Allows you to enable or disable showing featured post. 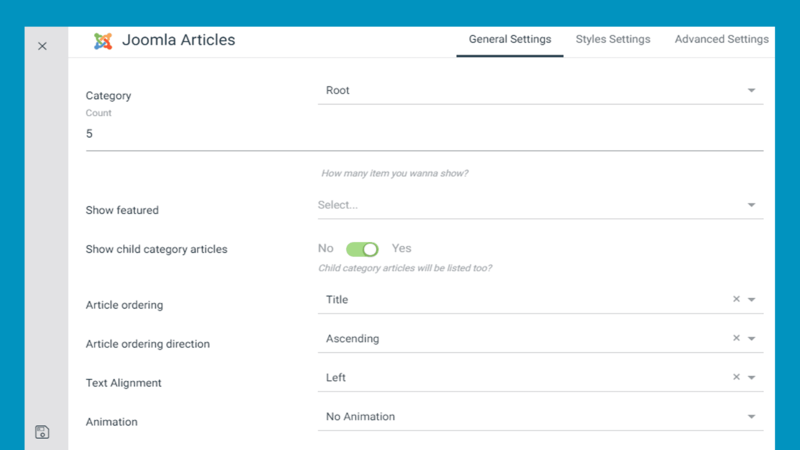 Show Child Category Articles : Enable or disable child category articles. 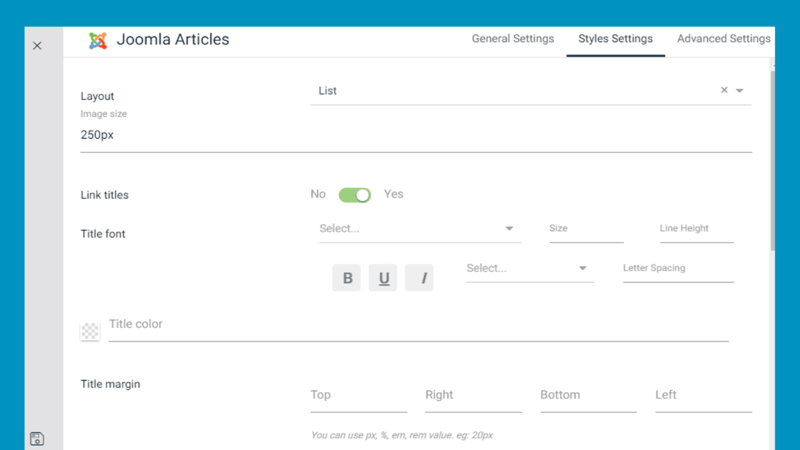 Article Ordering : Select articles ordering from the drop-down menu. Article Ordering Direction : You can either choose to ascend article ordering or descending article ordering. Text Alignment : Set the position of the texts. Animation : Choose an animation effect for the module. Layout : You can either select List or Grid layout style. Image Size : Define the image size. Link Title : Enable or disable link title. Title Font : Select the title font style. Title Color : Choose title text color. Title Margin : You can define the amount of margin in pixel for Top, Right, Bottom and Left as well for the title text. Show Meta Icon : Enable or disable showing meta icon. Show Date : Enable or disable showing article posting date. Show Image : Allows you to enable or disable showing image that used in an article. Show Category : Enable or disable showing article category. Show Author : Enable or disable showing article author. Show Introtext : Enable or disable showing article intro text. Show Readmore : Enable or disable showing Readmore button below each article. Margin : You can define the amount of margin in pixel for Top, Right, Bottom and Left as well for the module. Padding : You can define the amount of padding pixel for Top, Right, Bottom and Left as well for the module.